Due to circumstances the September mix has been combined with the October mix. We are truly sorry for those who have been waiting so long for the September one. Rapid is a veteran of the rave scene having got into it through listening to the many pirate radio stations broadcasting in London in 1988. In 1991, he started going out to raves regularly and shortly after bought a set of Technics. This all vinyl promomix predominately features Rapid’s favourite years of oldskool 1992/1993 and includes many of his favourite all time tracks. Rapid’s enthusiasm for rumbling bass lines can clealry be heard and is one of the all marks of his sets. 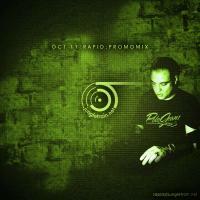 The jungletrain.net promomix series has been published monthly since December 2004. Each mix showcases a different jungletrain.net DJ, offering a taste of his/her show on jungletrain.net. 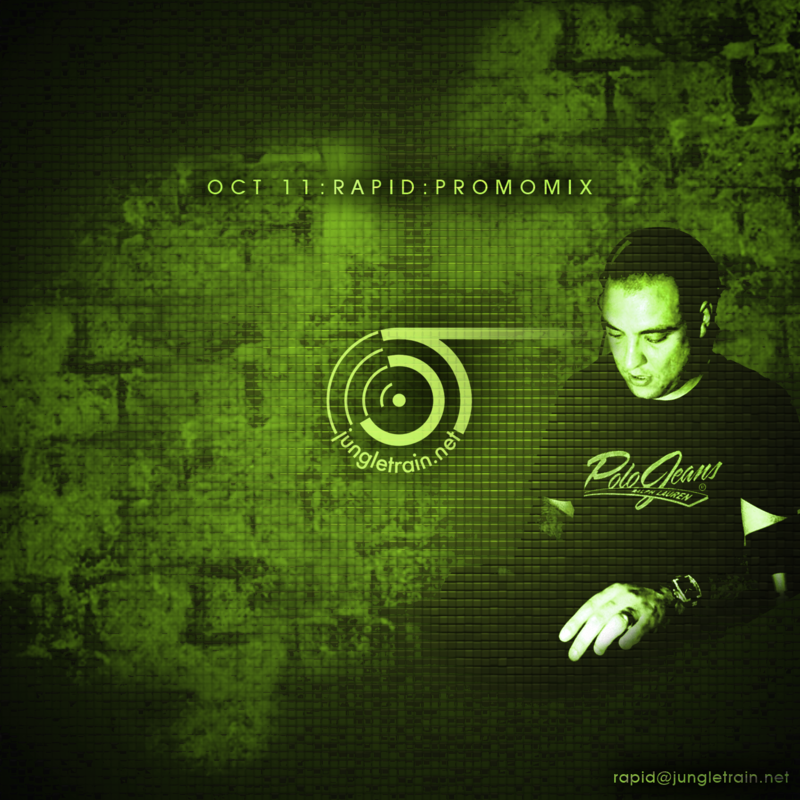 Starting in October 2009 the promomix series began to also feature an occasional special edition "engineers" mix, featuring dubplates and unreleased tracks from jungletrain.net producers and affiliated labels. To download previous promomixes, visit the promomix archive. Due to the station's non-profit and volunteer-based nature, jungletrain.net relies on donations to survive. Donations are needed to cover monthly server park hosting costs, copyright payments and growing bandwidth costs. DONATE HERE if you want to help.